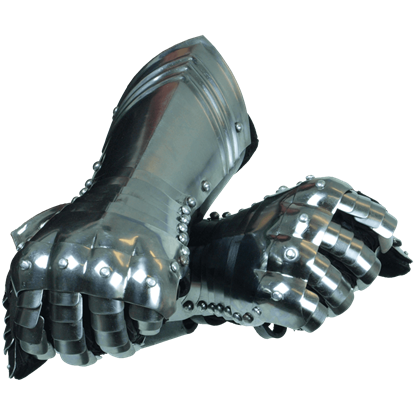 Throughout the ages, warriors have sought many ways to protect their arms in battle, and here at Medieval Armour, we have collected several of their various protections and their modern recreations, all so that we can offer them to the modern-day warrior who wants a set of steel arm armour that will both protect their arms and complete their historically styled image. 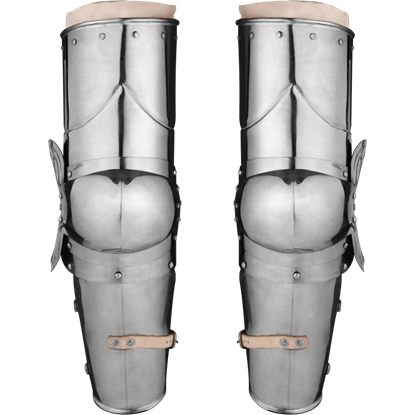 Our arm armour comes in a variety of different shapes and styles, ranging from the typical arm armour that was used in suits of knights armour to the more common protections that a typical medieval soldier might have worn. 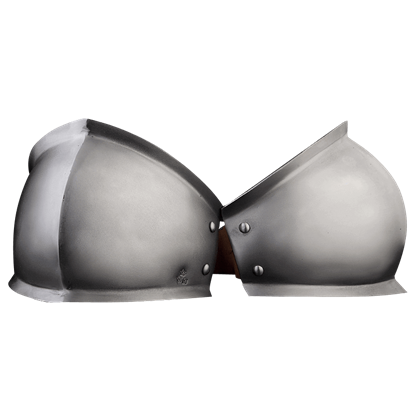 Each and every piece of armour you'll find here is steel armour, featuring either plates of shaped steel or lengths of steel to provide the best protection possible for your arms. 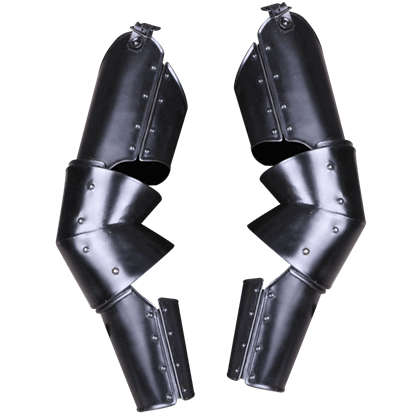 Because many of these arm guards are made from sturdy steel, they are fantastic sets of SCA arm armour, being capable of taking a hit from and defending against a typical training weapon, either blunted or padded. 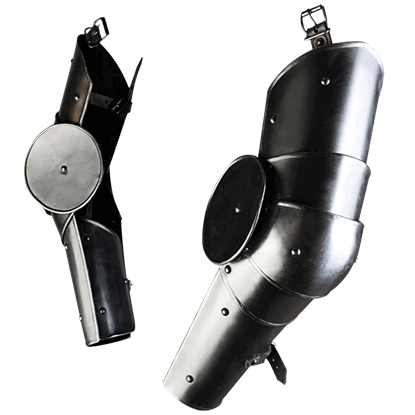 We offer our functional arm armour in a variety of different styles that were prevalent during the medieval era, ranging from the jack chains that the infantry and the foot soldiers typically wore to the different styles of plate armour that knights wore, ranging from gothic armour of German knights to the Milanese armour Churburg armour of Italian make. 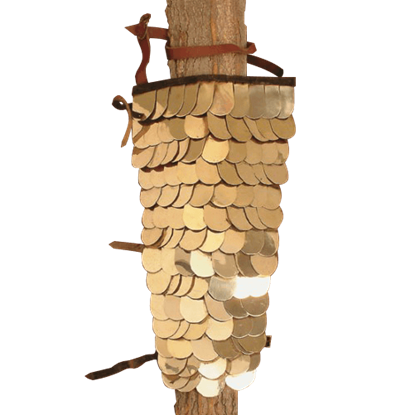 Many, if not all, of these sets of steel arm armour make a great complement to virtually any medieval armour breastplate or harness, allowing these pieces to be mixed and matched into a variety of different armour sets. 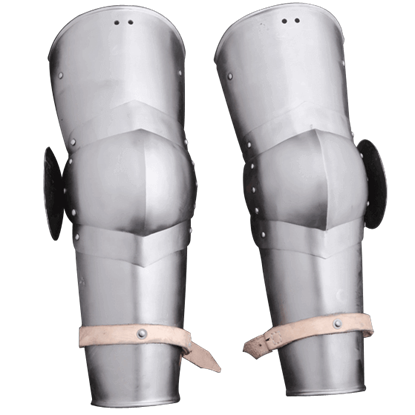 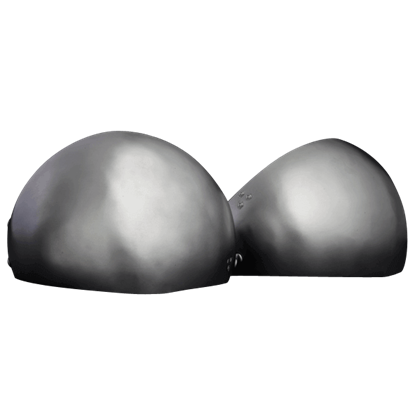 If you're looking to not only protect your arms, but do so with reliable and effective knights armour, then you've come to the right place, because Medieval Armour has all the sets of steel arm armour that you could possibly need. 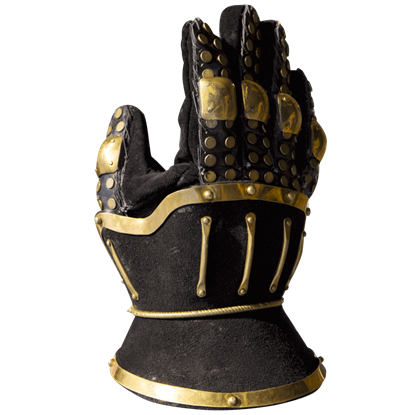 Your squire slips the Black Hourglass Gauntlets over your hands, adjusting them to be comfortable and snug. 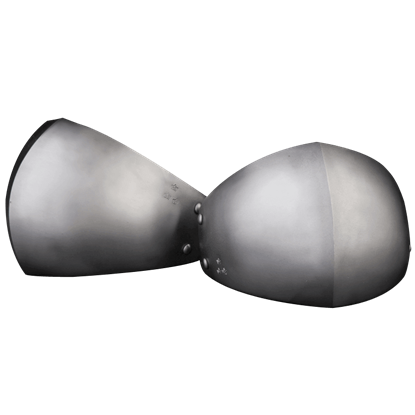 Their effective and striking design allows them to withstand and deflect attacks that make it beyond your swords crossguard. 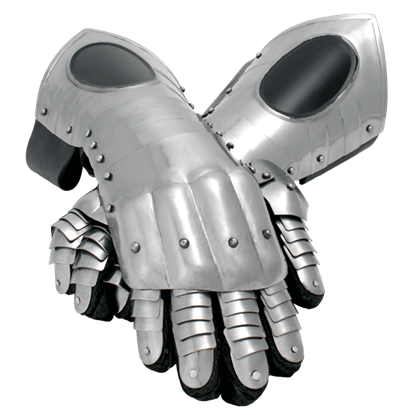 A good pair of gauntlets will do more than just keep your hands safe, even during the hectic chaos of battle. 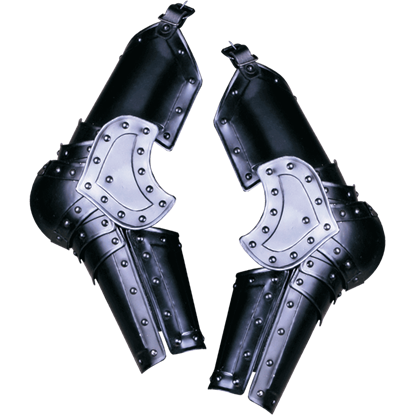 These Black Ice Gauntlets possess a distinctive fantasy style, as well as a level of protection that is difficult to beat.